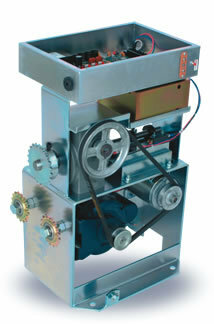 The SL-100 is our most popular automatic gate operator. Affordable, slim and rated for continuous duty on gates up to 1000lbs. This is a 110 Volt AC device capable of years and years of reliable service. The SL-100 was originally intended for applications like public storage facilities in the US. You can imagine those gates have to work all the time.